Validate and test AMP markup using Google AMP testing tool. Nowadays a success belongs to those who pay great attention to mobile customers. 80% of internet users own a smartphone. Statistics is going up. 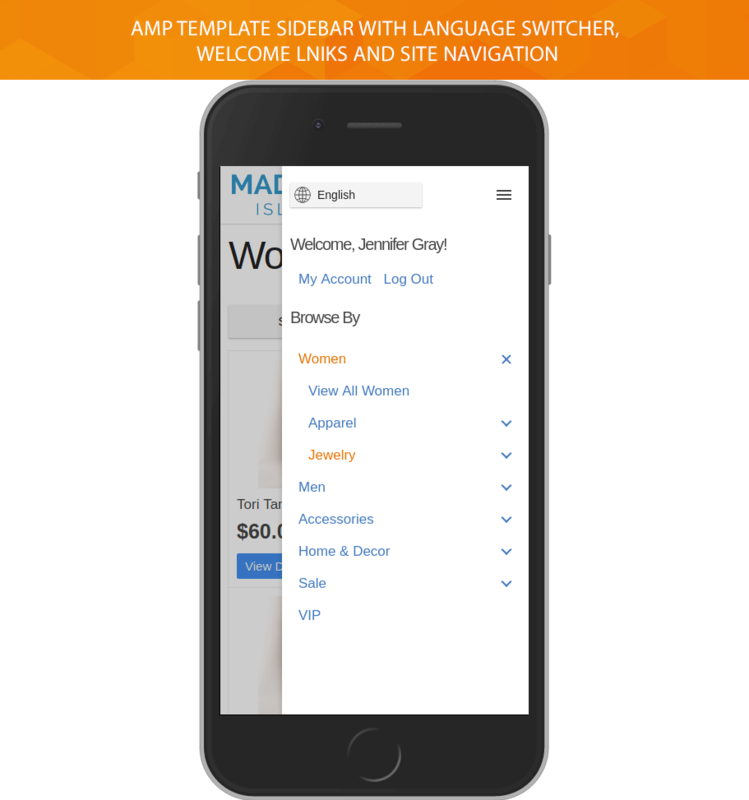 It’s time to boost a mobile visitor engagement on your website. 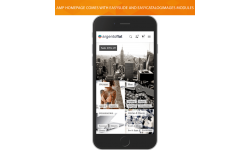 Need to reduce page load time on mobile devices? Want to create more streamlined mobile user experience? 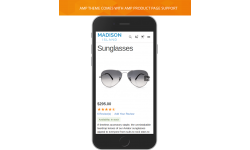 Try out Google AMP solution implemented for Magento. 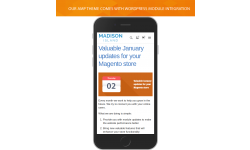 Accelerated Mobile Pages extension makes all mobile pages really fast regardless of the user’s data connection speed. Our AMP solution consists of AMP theme that brings lightweight CSS styles powered by SASS, and AMP module that converts all known tags and blocks into amp compatible elements automatically. 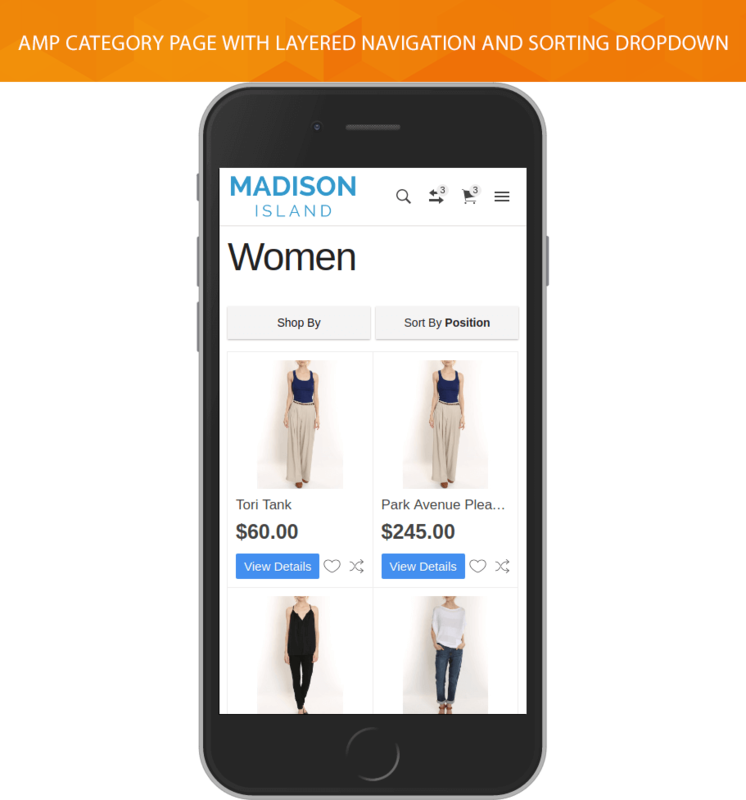 Magento AMP template allows you to use AMP pages for the homepage, category page, product page and CMS pages. 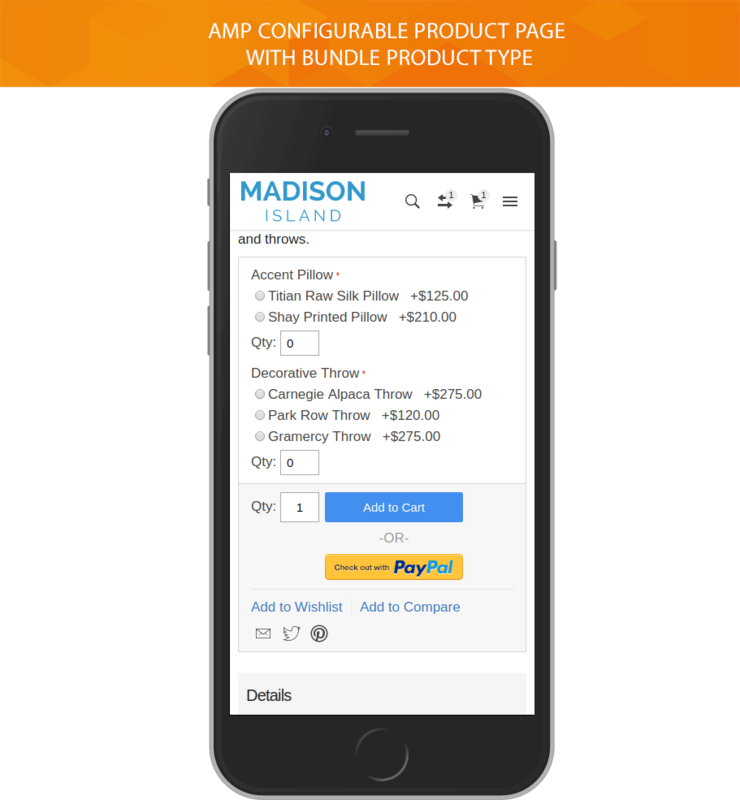 Our template supports adding both configurable and bundle products to the cart. 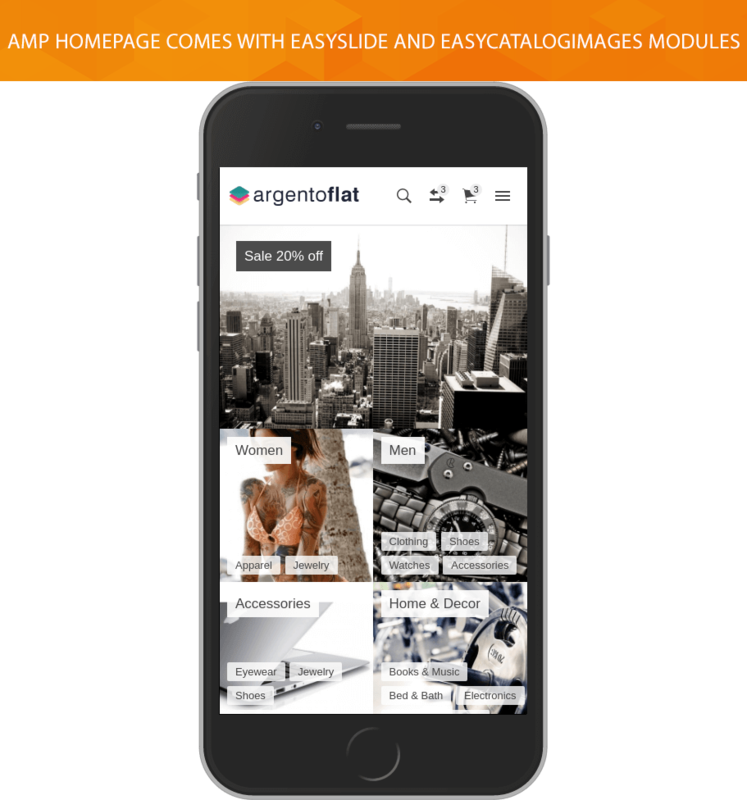 In fact, you receive a second mobile theme developed for AMP with the opportunity to modify a content easily via Magento backend. Optimize your store for mobile devices. 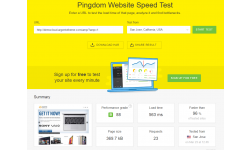 Decrease a webpage loading time. 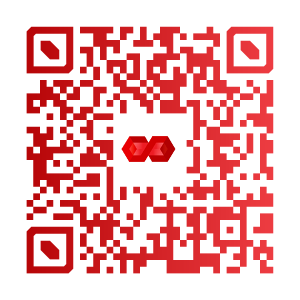 Significantly improve mobile customers experience. Get a higher ranking in terms of Google. 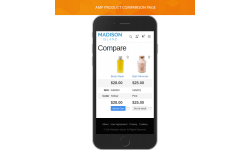 Our AMP extension supports the product page for all product types. 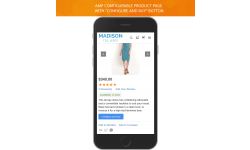 Your customers can add the configurable products to the shopping cart. They can also choose which they want to purchase. This helps you to sell much more products at once. The homepage is the most valuable page to make new visitors stay. 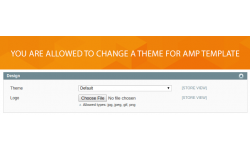 Our AMP template creates the homepage that is rendering for AMP site. 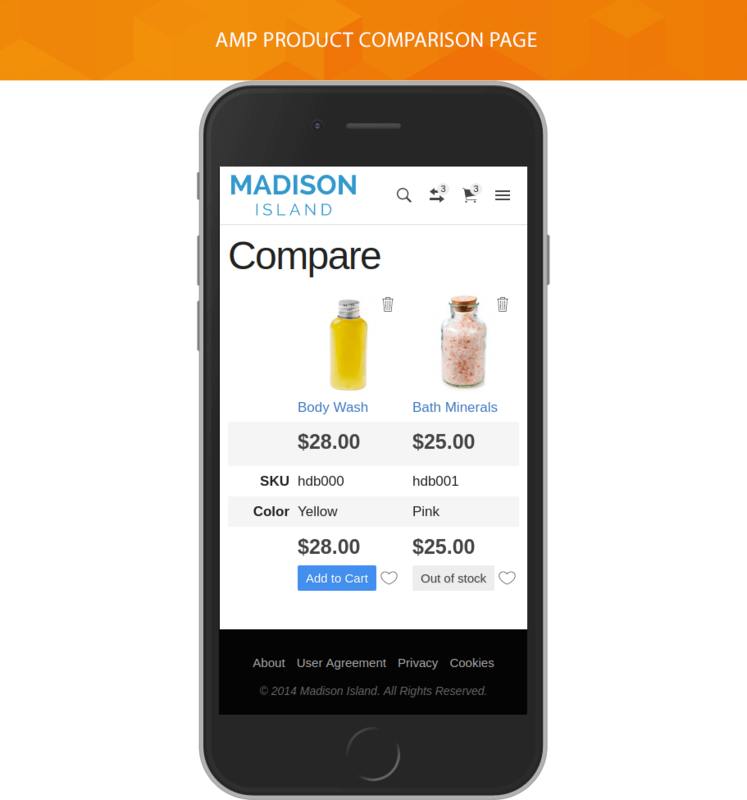 You can also use Magento AMP pages for category and product comparison pages, catalog search and CMS pages. 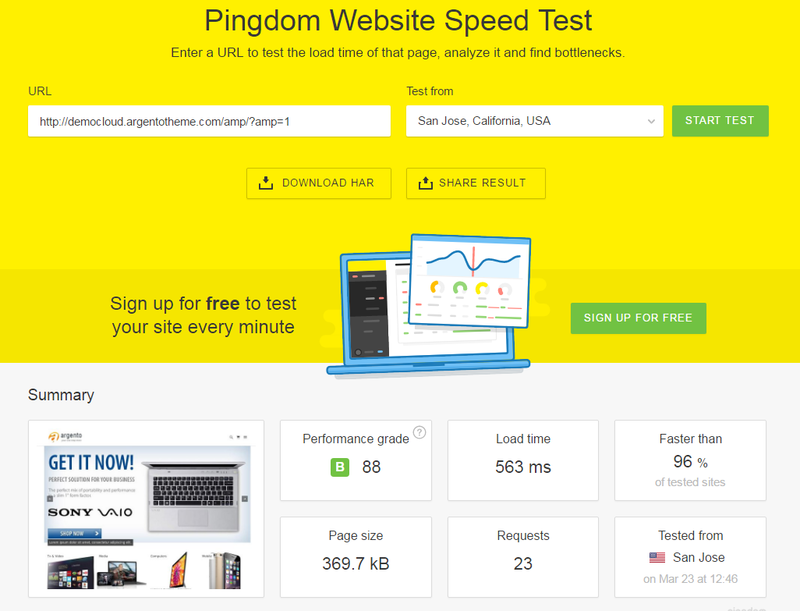 AMP pages send minimum HTTP requests to speed up web pages and provide users with fast performance. The content written in AMP HTML is easily cacheable by Google content delivery networks. In fact, you get ultra-fast mobile pages. Moreover, the pages will be rendered correctly in a third party theme, because our extension is compatible with many third-party templates. If you run a blog, the AMP version is critical for your website. Distributing the content in AMP format, you will make it more accessible and highly demanded. 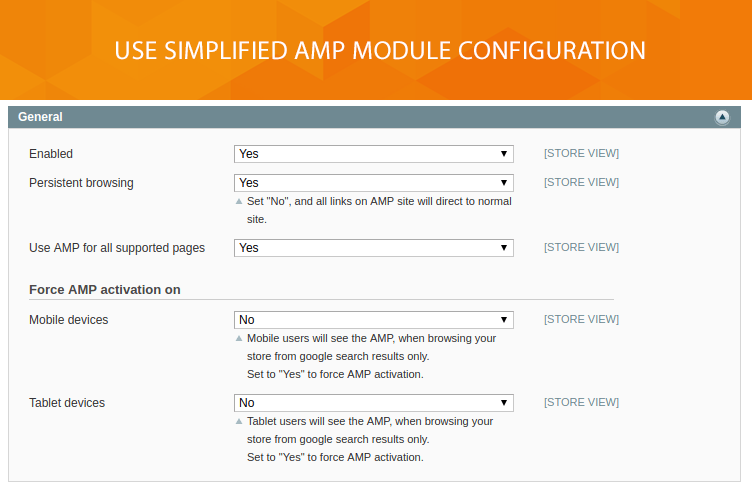 Our AMP module is integrated with Fishpig_Wordpress module that allows you to use WordPress blog in Magento store. 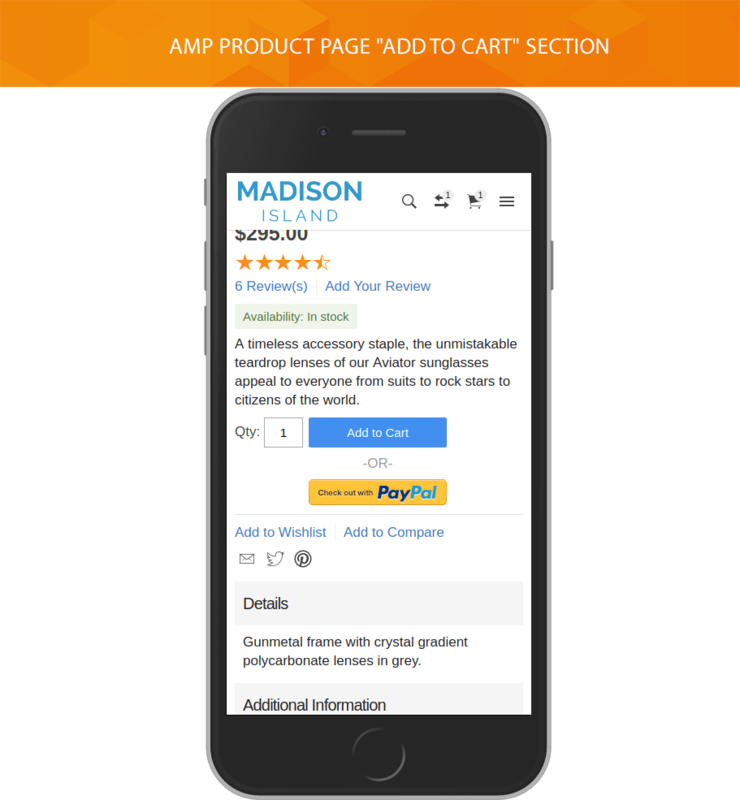 Using AMP, you allow Google show your store pages at the top of search rankings. It makes your website highly visible for your target market. 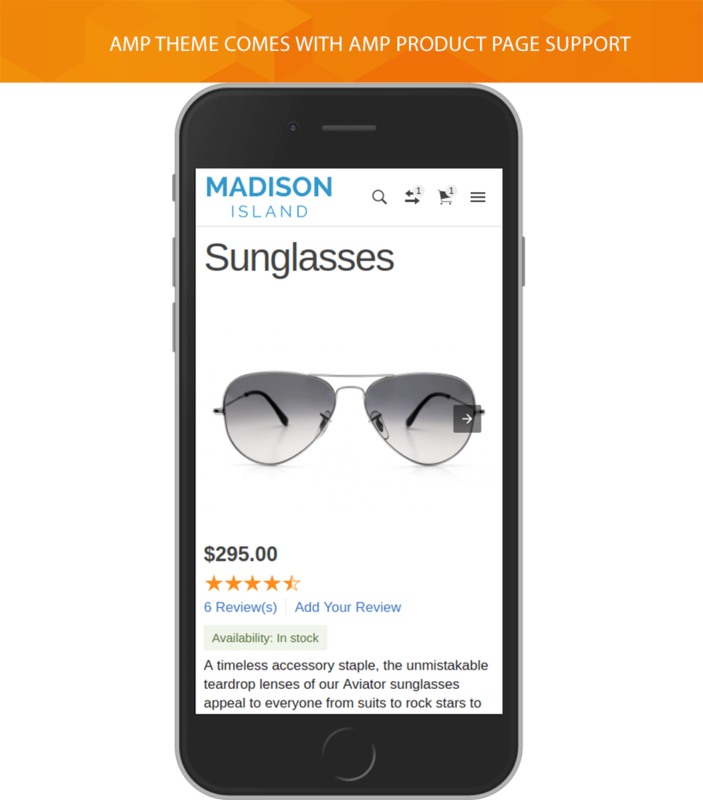 AMP pages load instantly across multiple platforms and devices, that speeds up the delivery of content important for your customers. 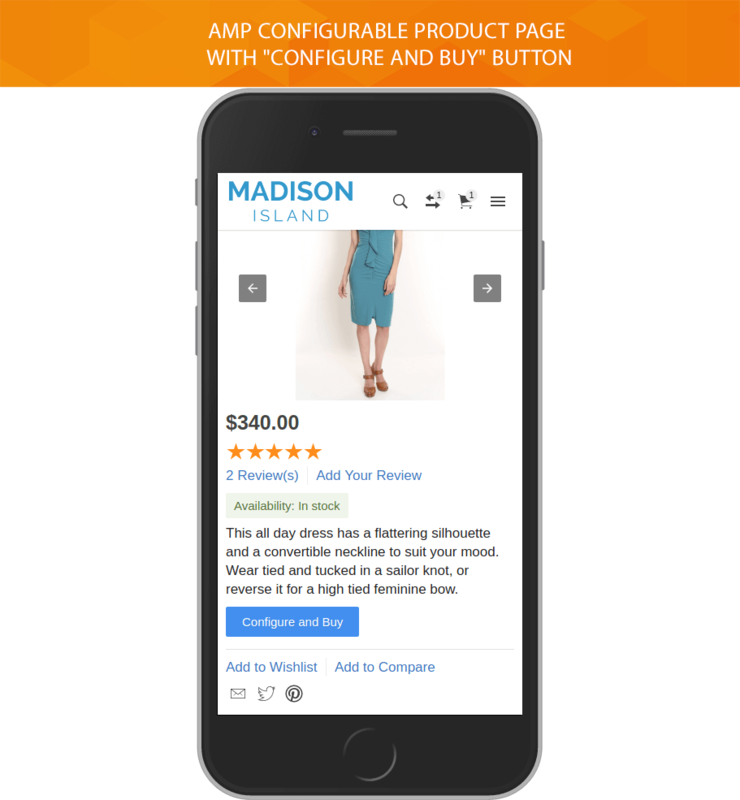 Magento AMP module is one more way to achieve better results in getting more mobile organic traffic. Google caches AMP content on its servers around the world. 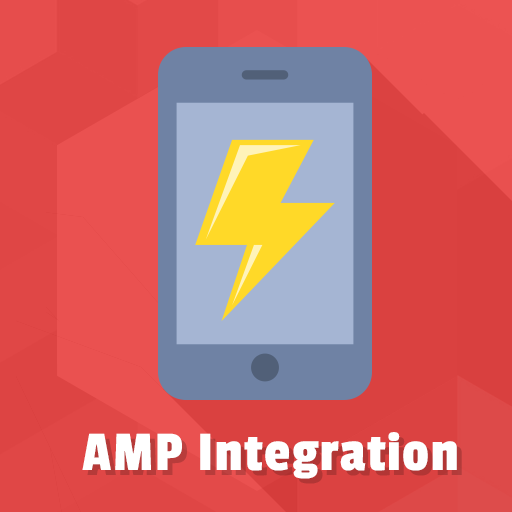 After implementing AMP on your website, you will see better results for mobile devices optimization and user engagement. In addition, you will be able to track user activity in AMP pages due to the integrated Google Analytics. This version includes major update for RTL styles. If you are using another module with DOMDocument parser - it may break markup again. See known issues section. Performance optimizations. Up to 400% performance boost on specific server configurations. A: Hi, please open ticket and our developers will check what is wrong. Q: Is AMP being converted to M2, and will it be included with Argento? 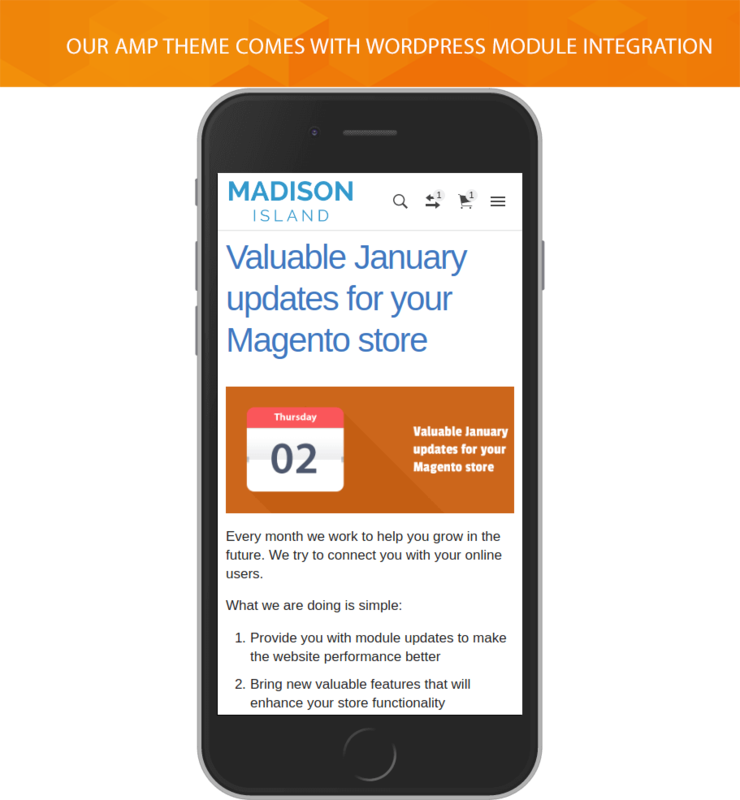 A: Our developers still working on Magento 2 version of AMP template module. 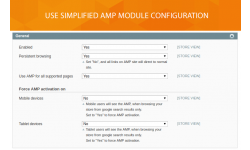 Q: This module work with configurable and bundle products using amp-iframe ? 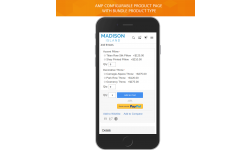 A: Hi, configurable and bundle products will have configure button and users will be redirected to desktop theme. We consider that amp-iframe is bad practice for now.